Winter in Zurich. Photo by Toni V. / Flickr. Warehouses-as-art-institutions, a 700-year-old hotel (fully refurbished), and whole meals of melted cheese. Nick Papa of Spotted by Locals, one our 24 Best Travel Blogs and Websites, shares a list of beloved Zurich spots. 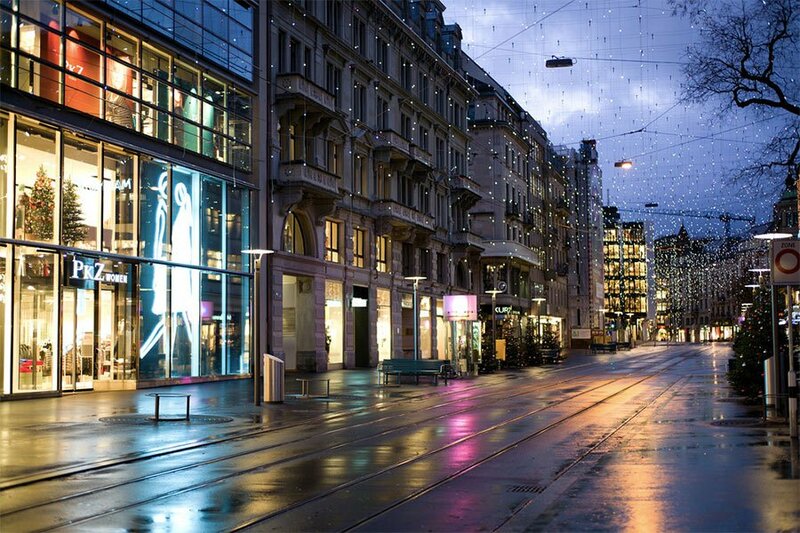 ZURICH – There's so much more to the world-famous financial center than meets the eye. With an artsy edge and ancient city center, Zurich may be home to many bankers, but world-class cuisine, thriving arts scene and stunning landscapes make it one of the most popular destinations to visit in all of Europe. Despite its central latitude, Zurich is, like many cities further north, predicated on the need to seek cozy moments indoors during the winter months. 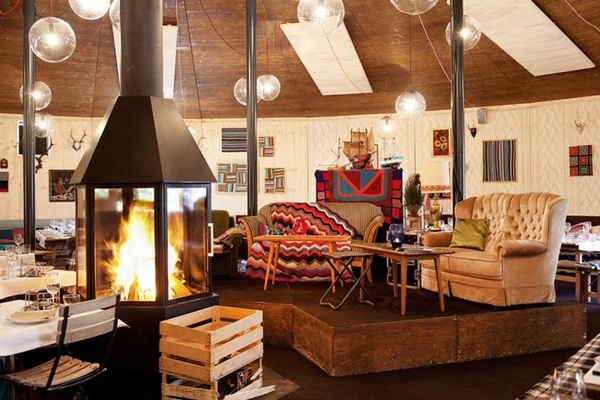 When the temperature drops, here's where the locals go in Zurich. A cozy interior perfect for enjoying fondue. Photo courtesy of Frau Gerolds Garten. Around here, you barely need an excuse of a cold winter day to enjoy a full meal of melted cheese. The Swiss invented fondue, so no trip to Zurich is complete without dipping small bites into a hot pot. There's a garden open during the summer; come winter, food is served family-style in a cozy wooden gazebo, with seating arranged around a fireplace. It's been open well over a hundred years — with a premier of Wagner's Lohengrin — but the Zurich opera house really started to shine with the advent of Alexander Pereira as director (he took the helm in 1991). Productions range from Verdi to Wagner to more exotic works. The pedestrian promenade on the eastern side of Lake Zurich is a year-round local hangout. In the depths of winter, even a gray, snowy afternoon offers unique vistas of the lake and beyond. Graffiti art outside Rote Fabrik. Photo by Toni V. / Flickr. Cordon bleu is the mainstay of this hole-in-the-wall spot where cheese is held over heart and scraped onto a plate as it melts in a process called raclette. Wood-paneled walls and traditional decor give Gertrudhof a distinctive, rural ambiance, allowing visitors to have an authentic Swiss experience while enjoying one of the country's most popular dishes. It seems de rigueur for the hippest hangouts to be located in renovated brick factory buildings, and Rote Fabrik is no exception. The lakeside performing arts center is a go-to for live music, dance, theater, and foreign-language films. There's always something going on, from artist residencies to workshops to a bustling bar. Locals go for the extraordinary coffee from speciality beans sourced from around the world or the cafe's own local blend. The staff is extremely friendly. The spot is one of the smallest in town, so if seating is not available, coffee becomes a to-go hand warmer. Toni-Areal. Photo by Samuel Zeller / Unsplash. 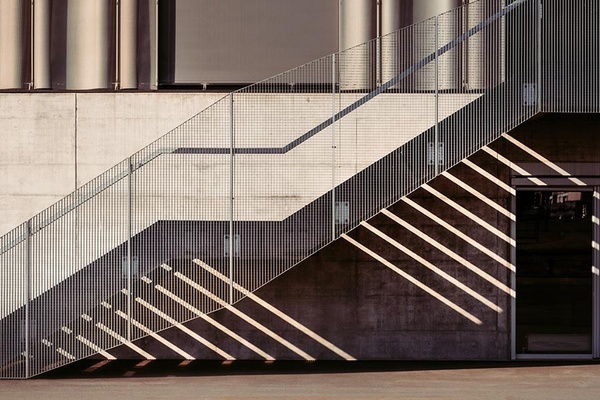 Zurich has embraced contemporary architecture with the conversion of old factory buildings into cultural centers and apartment buildings. Nowhere is this clearer than the conversion of the Toni milk processing factory into a center for culture, education, and housing. Brave the cold and head to Werdinsel, an island in Zurich reachable via a pedestrian bridge near the Tüffenwies tram stop. On a mild winter day, the area is perfect for a nature walk. Don't be surprised by locals swimming in the ice-cold water. The Badenerstrasse may be the most famous shopping street in Zurich, but on Saturdays, locals head just a few blocks north to the city's most popular flea market. Hipsters, immigrant families, punks, and bargain hunters alike haggle over unique finds from tea pots to bicycles. A room in one of the oldest hotels in Zurich. Photo courtesy of Marktgasse Hotel. 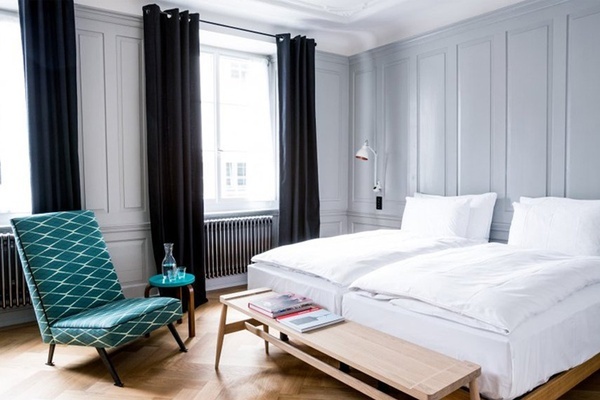 Centrally located in Zurich's Old Town, the hotel dates back to the 13th century. A total renovation by Swiss firm Miller & Maranta and interior designers Kessler & Kessler have updated the ancient accommodation into a chic destination with free WiFi, a restaurant, and a terrace with city views.